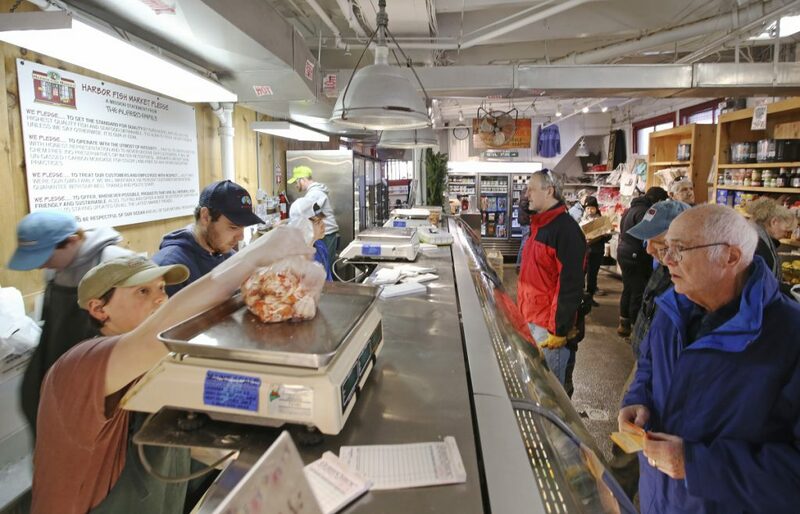 Sarah Bandle of Limerick weighs lobster meat for a customer Sunday morning as holiday shoppers fill Harbor Fish Market in Portland on the busiest weekend of the year. 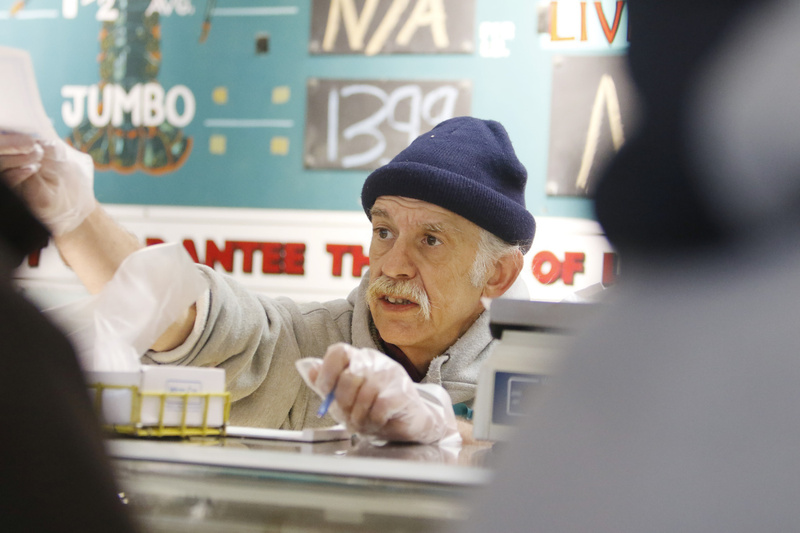 Fishmonger David Rudolf helps customers Sunday morning at Harbor Fish Market. 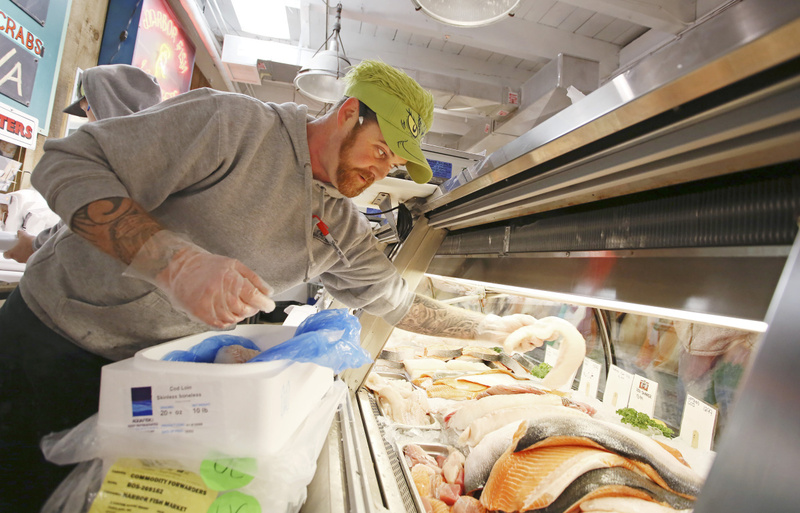 Dan Kraus, retail manager at Harbor Fish Market, restocks cod and salmon Sunday morning. 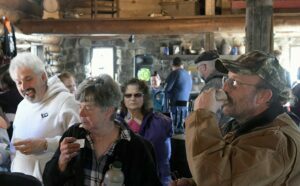 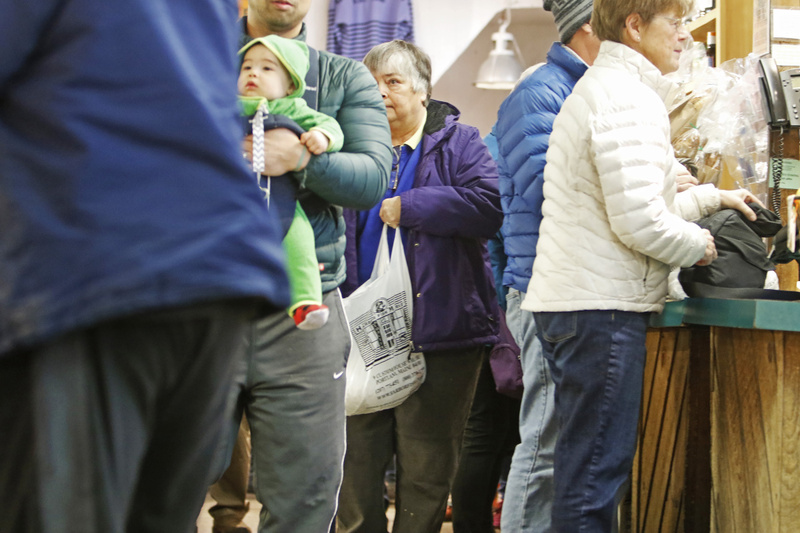 Lynne Priest of Chebeague Island, center, waits among a crowd of holiday shoppers to purchase lobster meat for a stew she will make for Christmas Eve. 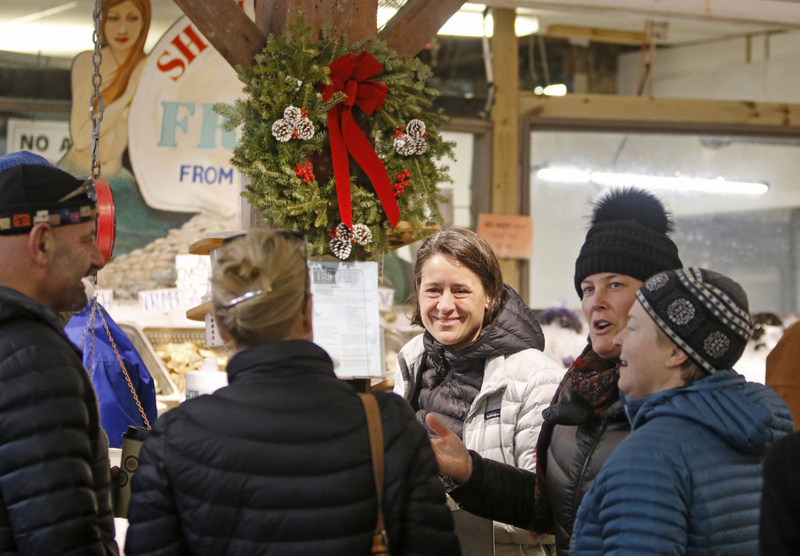 Cordie Southall, center, of Freeport and Margaret Donahue of Yarmouth catch up with friends while shopping early Sunday at Harbor Fish Market. 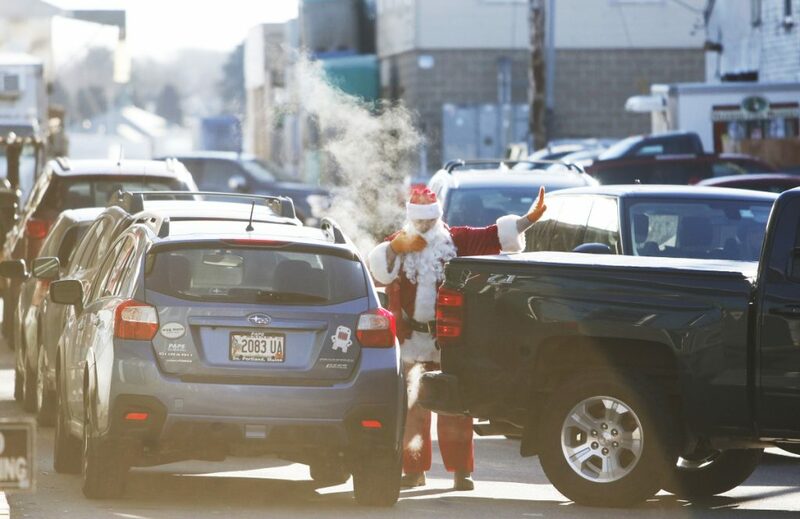 Santa Claus, aka Mike Kelly, a wholesale driver for Harbor Fish Market, helps customers with parking. 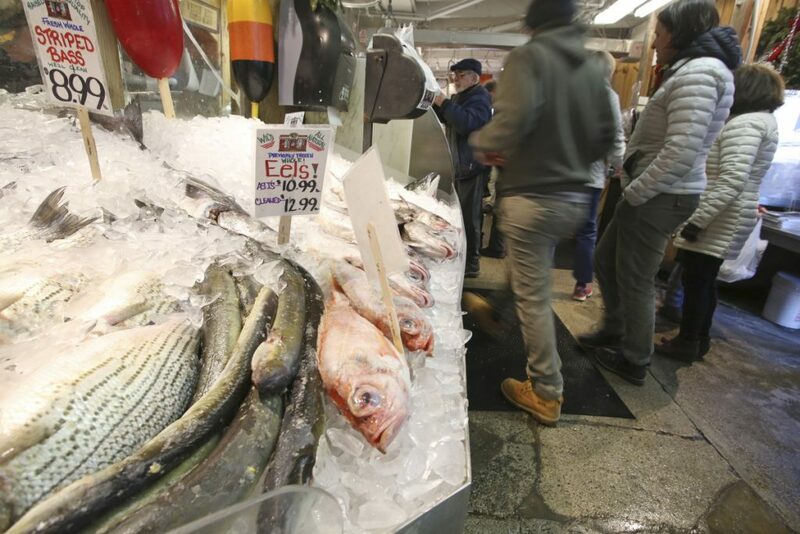 Shoppers fill Harbor Fish Market.